Le District is a leasing complex only for independent retired who need basic services. There is no permanent healthcare unit on-site, but you will have access to all health services anyway. 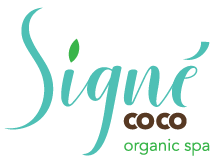 Massage therapists and podiatrists from Signé Coco organic spa. Yoga, aquaform, and aerobic courses, will be offered in the Health Centre. Personal trainer + fitness sessions (in extra). A personal trainer can give unique services and programs if you want to keep an active lifestyle, eat well and receive follow-ups. Medical clinic is located in the Health Centre. Our reputed doctors team can be seen on site and each consultation is carry out by our auxiliary nurses team with an appointment. Our healthcare coordinator, Lutete Diaka, has been managing Village Riviera and Résidence de l’Île healthcare departments for 5 years. She will take charge at Le District too. An auxiliary nurse and a beneficiary attendant will be on site 24/7 for resident's security and comfort. Pharmaceutical services will be offered by Jean Coutu. Le District provides a weekly housekeeping service, even if you are out on vacations. A dedicated employee is on site during the week for all kind of maintenances. He can also be reached for emergencies. If there is a trouble in your suite and it falls under our responsibility, don't worry, the situation will be taking care of diligently by our staff. Shuttle to get to grocery store, shopping mall, etc. To inquire about our services or the level of care appropriate for you or a loved one, please visit the Contact Us page to get in touch with one of our friendly representatives who will be pleased to assist you.